Over an hour of aural homage to the Italian fromage that may have fallen foul of the DPP witch hunt of 70s/80s shlocky horror titles in one of the darkest chapters of UK history: the persecution and prosecution of the Video Nasties. A group of friends explore an abandoned mill and discover a cult performing Ritualistic sacrifice. Demon possession and extreme violence occurs. Junkies hitching a ride on a late-night cross-country train accidentally shoot up with experimental chemicals and become crazed, undead flesheaters. Hilarity and extreme violence occurs. An adaptation of the H.P. Lovecraft short story about grave robbing, a strange amulet and the ancient creature that wants it back. Three scores for unmade short films, inspired by the works of Fabio Frizzi and Goblin! 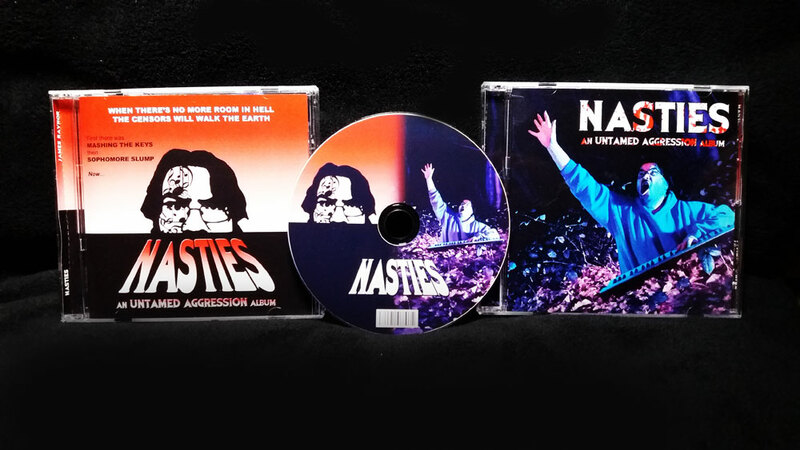 Also available on CD, featuring double-sided artwork!